With the school year quickly coming to an end, what are you going to do with the kids? How will you prevent summer learning loss? And how are you going to do it without spending a fortune? A recent headline from Scary Mommy stopped me in my tracks. “Thinking Of Sending Your Kids To An Academic Summer Camp? Buy A Lottery Ticket First,” it read. 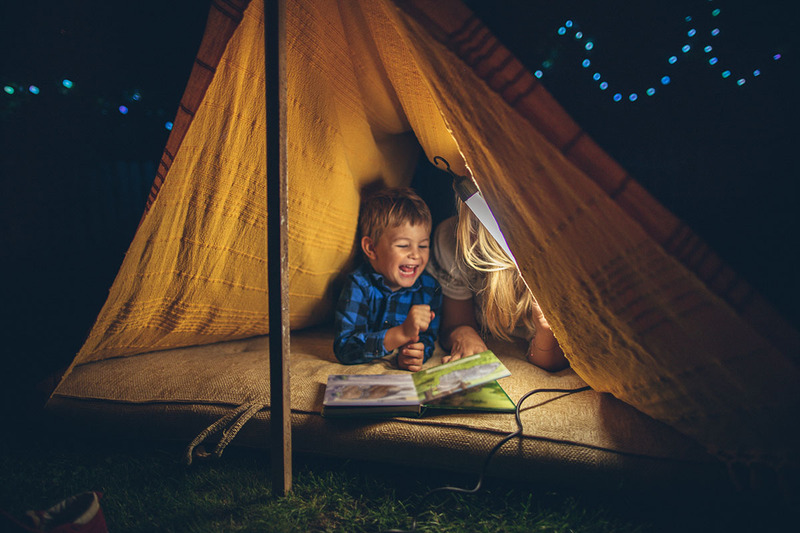 Now, as much as the kids would probably love to spend the next two-and-a-half months lounging around in their PJs, eating junk food and letting their brains turn to mush, luckily there are great, affordable options out there to keep them entertained while being educated. Parenting win. Remember “Mister Rogers’ Neighborhood”? That show ran on PBS for decades and taught preschoolers how to interact with their neighbors, respect others’ differences, share their feelings in a healthy way and embrace make-believe. Though new episodes stopped airing in 2001 and title character Fred Rogers died in 2003, video streaming site Twitch will be streaming all 886 episodes of the show for free through June 3. So if you’re getting sick of SpongeBob, Peppa Pig or Caillou, direct your preschooler here — and hopefully they’ll pick up something educational along the way. For all podcast-loving parents, now you can share your addiction with your offspring. NPR has launched its first kid-centric podcast series. Called “Wow in the World,” the podcast uses a dose of comedy to get children ages 5 to 12 excited about science, technology, discovery and inventions, NPR reports. The series will explore the topics of space, dinosaurs, animals, technology and human origins. The first 24-minute episode titled “The Search for Planet 9 and Our Sushi-Powered Brains” debuted May 15. For some real back-to-the-basics summer edutainment, there are books. Now don’t give me that look — books can be fun. Especially when there’s a challenge tied along to it. And don’t forget, parents, books are oh-so-affordable. Just check out your local library — which actually has more cool things than you’d think. The following programs will encourage your kid to keep reading through the summer with some neat freebies. This bookstore chain invites kids from first through sixth grade to read any eight books over the summer and write journal entries about their favorite part of each story. Participants must bring their completed journals (you can print out the journal your kid will need to fill out here) into any Barnes and Noble store until Sept. 5 to receive a free book from a selected list. This bookstore chain has curated a special selection of books for kids and teens for its summer reading program. Kids who read four books from the list and fill out Book-A-Million’s reading challenge journal can bring their completed journal into stores to receive a free Maze Runner water bottle. This bookstore chain challenges kids 14 and under to log in 300 minutes or more of reading during the months of June and July. Parents have to sign off on this reading log, which kids can bring to any Half Price Books store before Aug. 31 to redeem “Bookworm Bucks,” or free $5 gift cards, The Balance explains. Scholastic wants children of all ages to read this summer. Through Sept. 8, children can log the minutes they read online and access various virtual prizes. The publishing company also has recommended reading lists for all ages, plus you can enter a summer reading challenge sweepstakes to win prizes from Klutz. Sync is an audiobook program that will give teens two free audiobooks a week this summer. Teens can save their eye-strain on video games and still meet reading requirements for the summer by simply listening. Titles vary each week based on a theme. The program will continue through Aug. 16. For other affordable ways to keep your child busy this summer, check out $1 movies at Regal Theaters or these outdoor options. And while you’re planning out your summer weeks, bookmark this handy list of 100 free summer fun ideas for the entire family. Nicole Dow is a staff writer at The Penny Hoarder. As a child, she loved trips to the library during the summer. She’d check out a dozen books each time.